The Singulier faucet collection combines elegant, sensual lines with graceful curves to create a serene, understated look and tranquil sensibility. 1.2 gpm (gallons per minute) flow rate. One-piece, self-contained ceramic disc valve allows both volume and temperature control. The universal style of the Archer collection blends subtle design elements found in Craftsman furniture with the intricate facets of jewelry. This centerset Archer bathroom sink faucet combines smooth laminar water delivery with two stylish and ergonomic lever handles for precise water control. Inspired by early 1900s American design, Bancroft faucets combine vintage style with durable construction. This Bancroft bathroom sink faucet features classic White ceramic lever handles, which offer easy control of water temperature and pressure. An escutcheon plate and pop-up drain enable a fast and easy installation with reliable performance. Featuring a classic silhouette, this Devonshire sink faucet complements a variety of bathroom decors. 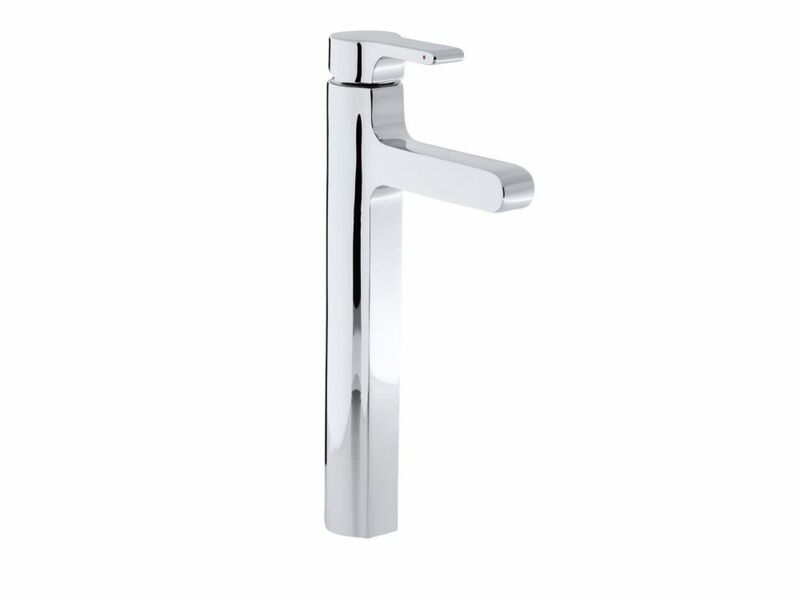 The faucet features ergonomic sculpted lever handles for easy control. A spout and matching pop-up drain with a tailpiece completes the set. AC touchless faucets with Insight technology features an adaptive infrared sensor that gathers and analyzes the surrounding area upon installation. After recording these details, Insight calibrates the sensor to filter false triggers and optimize the faucet's operation. Singulier(TM) tall single-hole bathroom sink faucet with lever handle The Singulier faucet collection combines elegant, sensual lines with graceful curves to create a serene, understated look and tranquil sensibility.